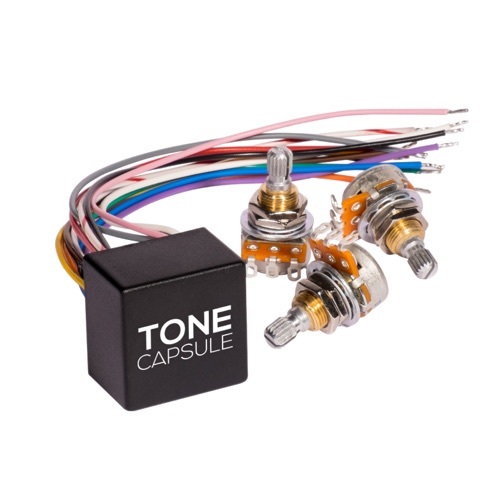 The Tone Capsule is unique in the way that it doesn’t have a Treble control. The idea was Sheldon Dingwall’s: he thought that making a Bass-Mid-Treble was too normal for his liking because everyone does it that way, so he suggested including a second mid control instead. We loved the idea! Specially because the second control control could be configured to operate at the higher end of the spectrum, offering all the benefits a standard Treble control (increased clarity and definition when boosting) but with a more natural, less-harsh and noiseless operation.